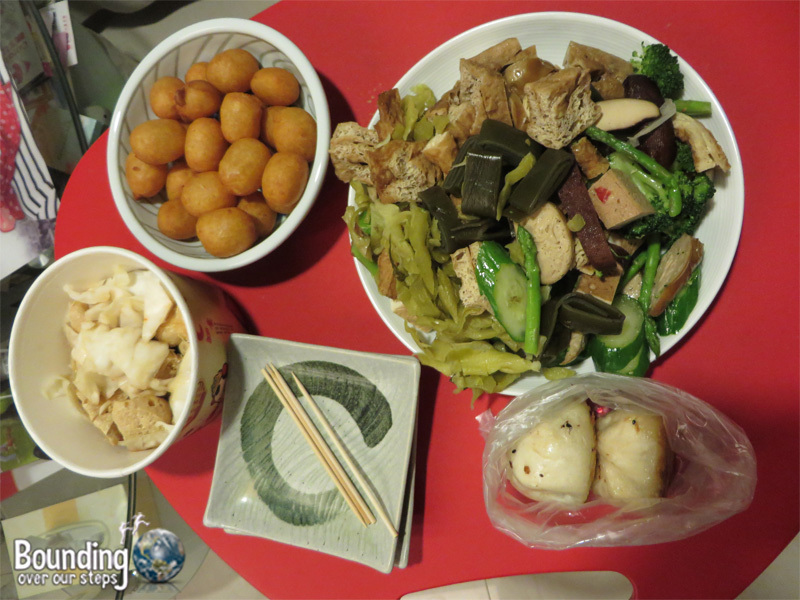 I was delightfully surprised at how easy it was to be a vegan in Taipei. From street food options to a full-fledged vegan supermarket veganism was not only understood but, possibly due to the prevalence of Buddhism in Taiwan, also respected. On numerous occasions I dined with Buddhist monks, who shared my compassion for all living beings. About Animals was my favorite restaurant in terms of their concept. I ate their twice and enjoyed their East meets West fusion type food. Although the food was delicious my favorite experience at this restaurant is when the two owners/chefs made all the patrons wait while they helped a stray cat. When you visit be sure to try one of their signature burgers. Vege Creek offers delicious made-to-order meals. You simply select your ingredients and bring them to the chef who somehow turns a random assortment of items into a fantastically flavorful dish. My concoction was so tasty that I even slurped up the broth. Ooh Cha Cha Cafe serves up fusion food in a European atmosphere. They have the most creative menu of all the vegan establishments I visited. 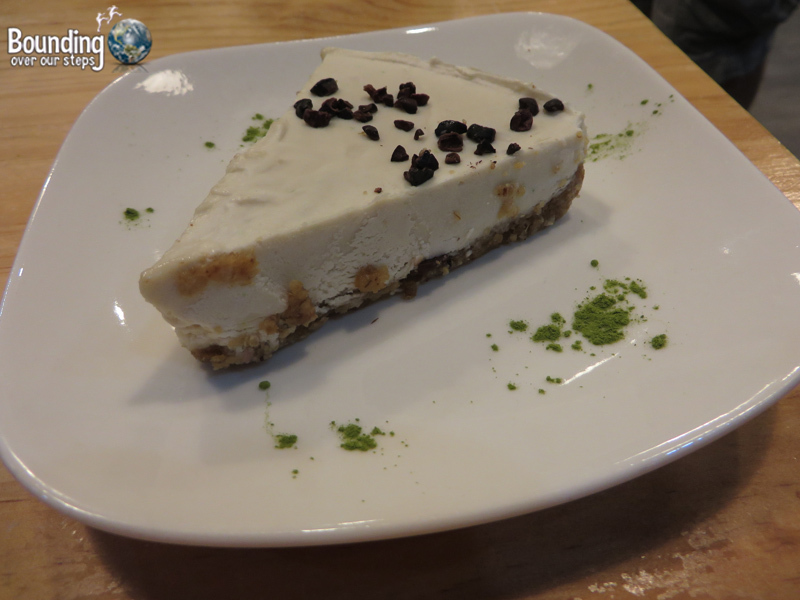 Do not leave this cafe without trying their raw vegan desserts! Couldn’t get enough vegan dessert at Ooh Cha Cha! 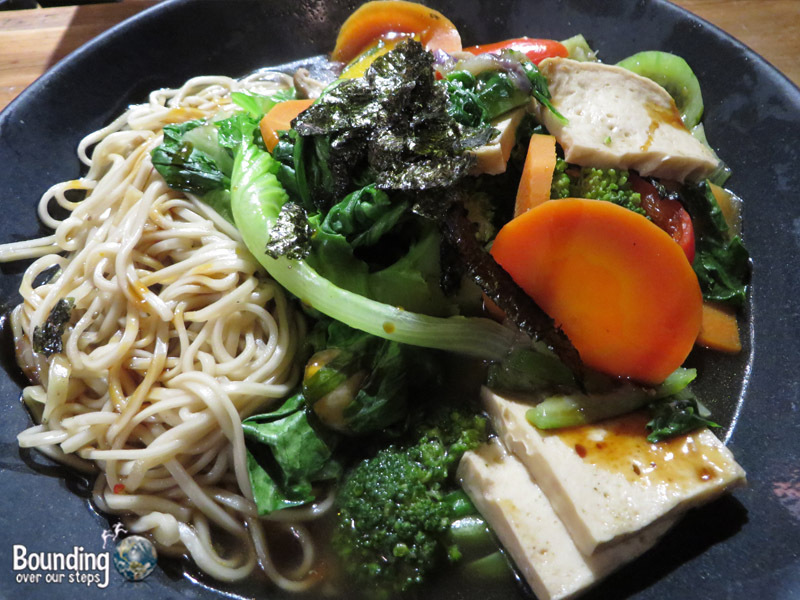 Although this is not a vegan restaurant, I have included Evergreen Vegetarian Restaurant here because it has a large amount of vegan options. The menu is a self-serve all-you-can-eat buffet encompassing the entire second floor of the building in which they are housed. 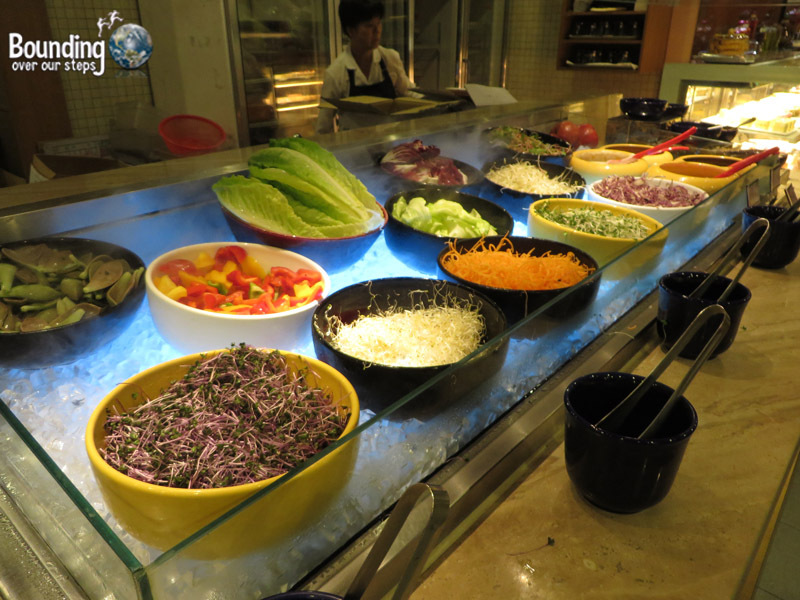 It is a great way to sample a large variety of Asian cuisines, including Taiwanese, Japanese and Singaporean. Be sure to try their tofu pudding topped with syrup and fruit for dessert. Being vegan definitely becomes more challenging at Taipei’s various night markets, but luckily I was with a Taiwanese friend who knew exactly which stalls to visit. 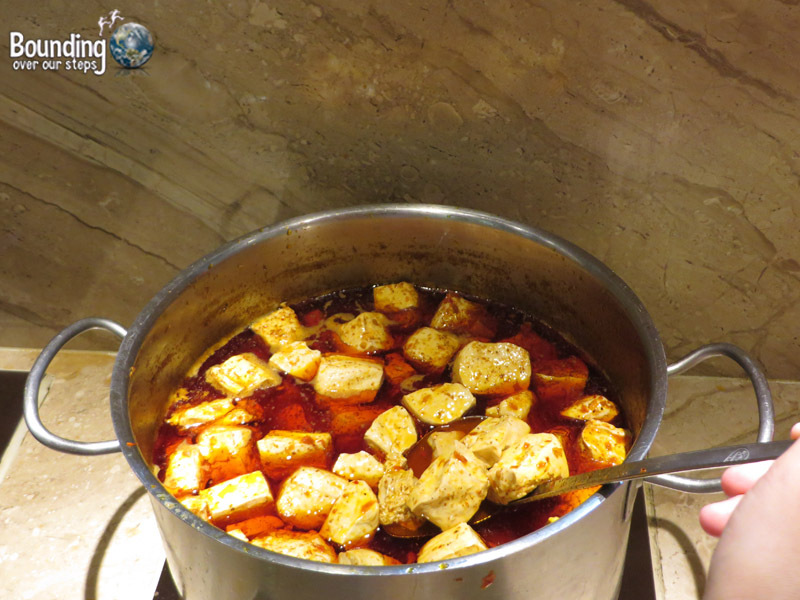 I was introduced to a traditional Taiwanese dish called “stinky tofu”, which is most often made with coagulated duck blood. Normally, I would delight in the fact that I could play the vegan card in such a situation, but wait…there was a vegan alternative? I had no good excuse not to try it. At first it wasn’t that bad, but then crept in the flavor of…well, garbage and I found myself not looking forward to the second bite. Not wanting to give up so easily, my friend encouraged me to try the deep fried stinky tofu and I have to admit that I enjoyed it much better than the non-fried kind. My favorite street food in Taipei was the “Taiwanese burrito”, which consists of vegetables in a sweet peanut sauce all wrapped up in a burrito. There is a meat option for this so be sure to ask for the vegan one, which many street vendors will happily make for you. If all you have near you is a 7-11, like when I stayed at the Main Inn across from Taipei’s Main Station (Exit Y13), do not despair. While most of the items had either milk or eggs or sometimes both in the case of bread, for example, I found fresh bananas and even a small selection of pre-packaged noodle dishes. The ingredients were only listed in Chinese characters so I had to enlist the help of fellow patrons to find something suitable for me. One such woman did not let her lack of English and my lack of Mandarin stop her from going out of her way to help me. After reading the ingredients of every noodle dish, she presented me with two options. She said, “good, good” and decided to put her chicken dish back to exchange for one of the dishes she had chosen for me. With an encouraging smile and lots of gratitude from me, she paid and left, having done her good deed for the day. I loathe shopping of any kind, but after learning of an all-vegan grocery store, I simply had to check it out for myself. 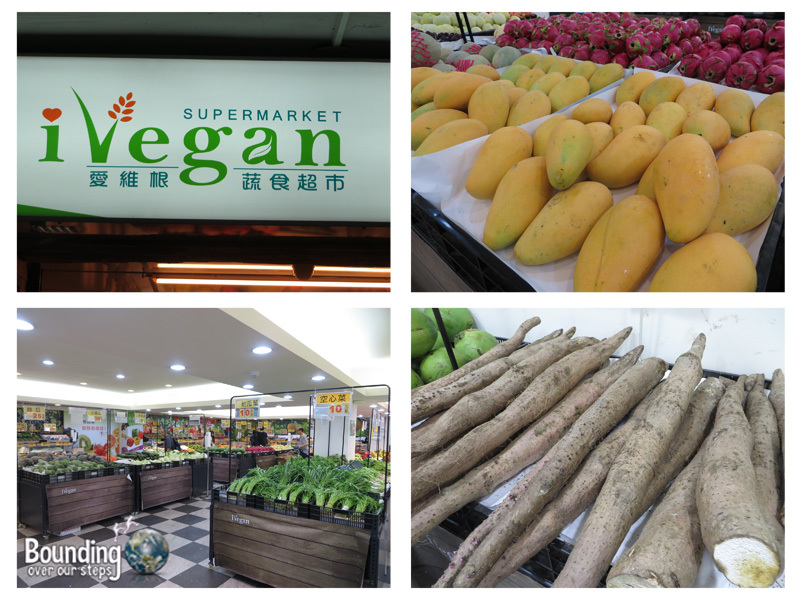 Following the “ivegan” signs through a small neighborhood near Wanlong station, I found myself standing in the middle of a 100% vegan supermarket. I had come to show my support but my feelings about being there took me completely by surprise. The realization that every item in the store was cruelty-free, that no animal had been subjected to suffering and torture, that no product had been tested on animals…I was brought to tears. Aisle after aisle was filled with products that I could eat and for the first time, I found myself not having to look at the ingredients. I did not have to brace myself for the inevitable walk past the meat department and see cut up carcasses for sale or the shameful walk by the lobsters with their claws clamped shut with rubber bands, knowing how they would die. I even visited ivegan a second time during the week I was in Taipei just so I could bear witness to such a compassionate grocery store. Oh, if they could all be this way! Have you been to Taipei? 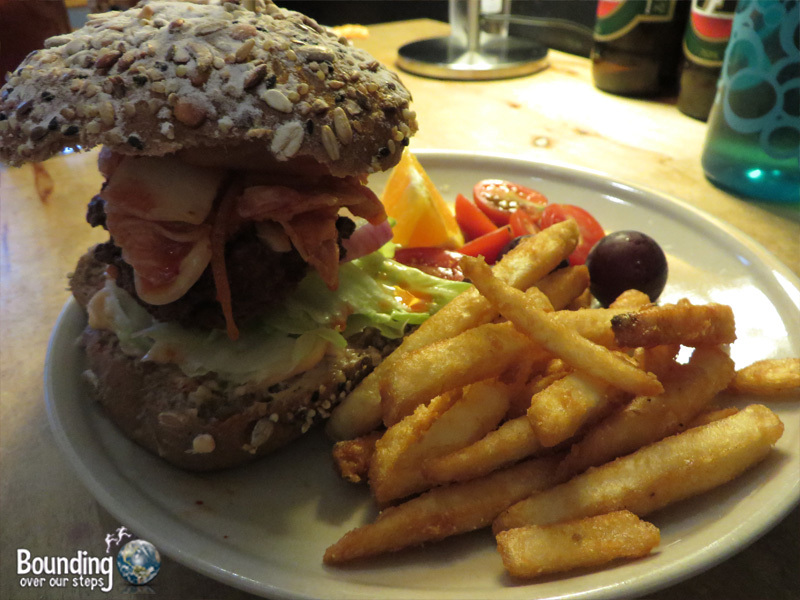 What vegan dishes did you try? Oh wow, you have just placed Taipei on my ‘must visit’ list. How could I have not known that it is so vegan-friendly? Love the cat story. Wow, this is interesting. Now I want to visit there! The vegan dessert looks delicious, as does that burger! That burger looks to die for! And I’ve never in my life heard of an entirely vegan grocery store, great find! Amaaaaaaaazing. We had heard that Taiwan was very vegan friendly. We would love to visit for the vegan food, but more so to connect with likeminded people. It’s sometimes difficult for people to understand why we are vegan, so it’s always lovely to meet people who are on the same path. YUM and YUM again. The veggie festival is in CM, too, and let me tell you how happy I am that there are more options right now for yummy food that isn’t just stir fried veggies!! Also, Taipei is entirely on my must-visit list now!